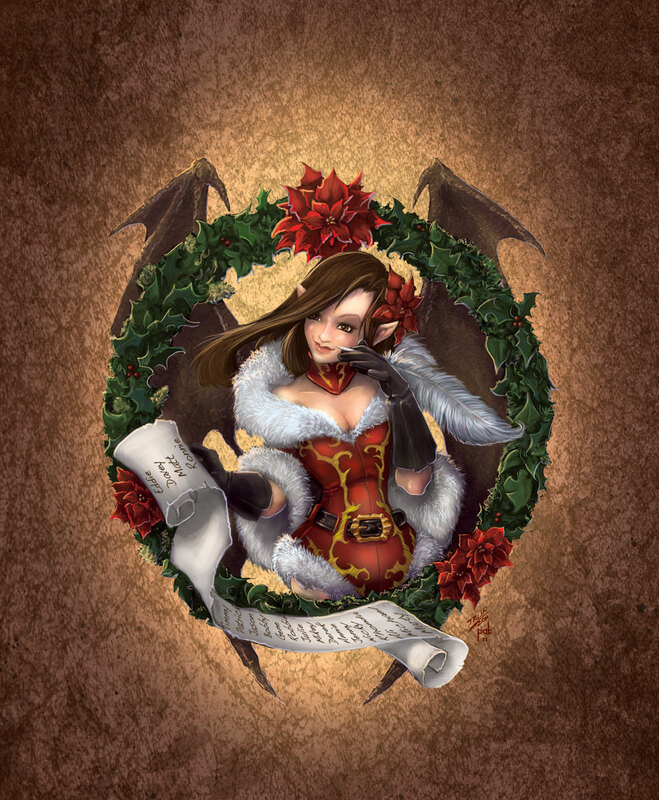 I wanted to say the 2011 Holiday Sophie Ornament was a really terrific project to work on and I enjoyed collaborating with Reaper Miniatures to make this holiday collectible very special. I wanted to thank Ron, Ed, Tim and Martin for all great collaboration and the opportunity to bring the image and ornament to the fans. It was a thrill to be able to paint the cover art for Game Trade Magazine's December issue based on Tim "Talin" Collier's design. I worked from a scan of Tim's pencil art and painted the image digitally in Photoshop. It was pretty cool to get to dust off the ol' Wacom tablet and do a bit of scribbling again. Hopefully it did his pencil work justice. I also wanted to commend Martin Jones on doing a super bang-up job with painting the final ornament. 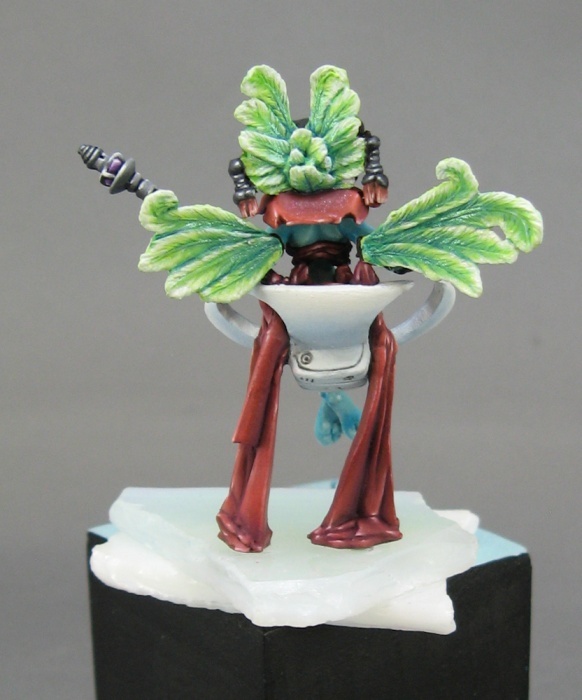 It is also a thrill to see my sculpt work painted by others and his piece turned out exceptional. See if you can spot all the cool names on the list! I was approached a few months ago to make a commemorative piece to surprise Tom Anders of Impact! Miniatures. It seems to have worked. 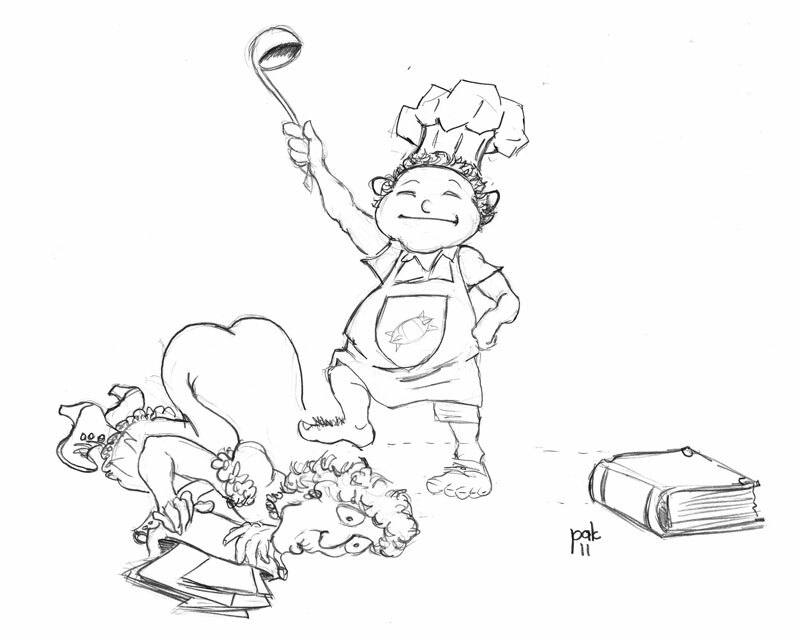 Check out all the back-story and details on Ramsay's post here. 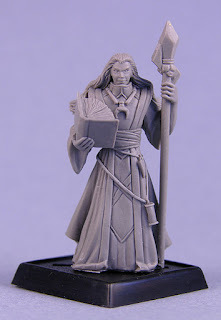 Reaper and Paizo have posted a preview of the Cleric of Urgathoa figure I sculpted for the Pathfinder range. 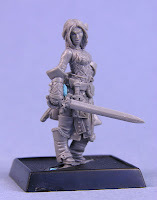 The pose for this figure made for a very challenging sculpt due to the negative space in the original art. It was also pretty tricky to get the scythe handle to line up properly and still be thick enough to allow for molding and casting. Here are a couple of other views. 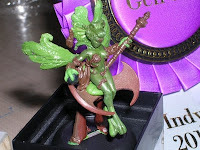 Here is the new Lamia piece I sculpted for Center Stage Miniatures. The focus was to make it "old school D&D" in flavor. 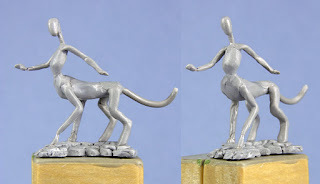 Below is a series of progress shots I photographed during various stages of the sculpting process. 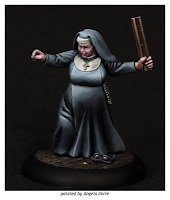 Vicky and I also painted their studio model which is featured in their online store. 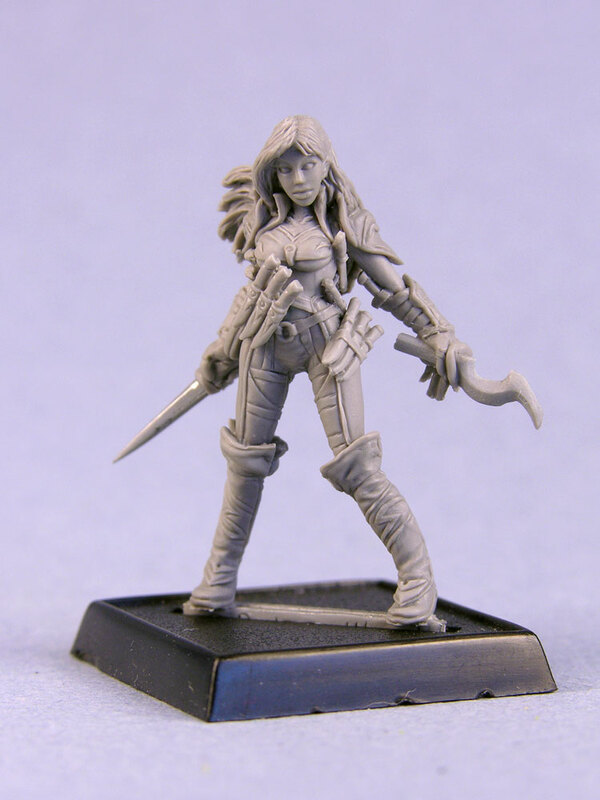 In anticipation of the release of the Pathfinder Roleplaying Game: Beginner Box I have completed a revised Merisiel sculpt of the Iconic Elf Rogue character. 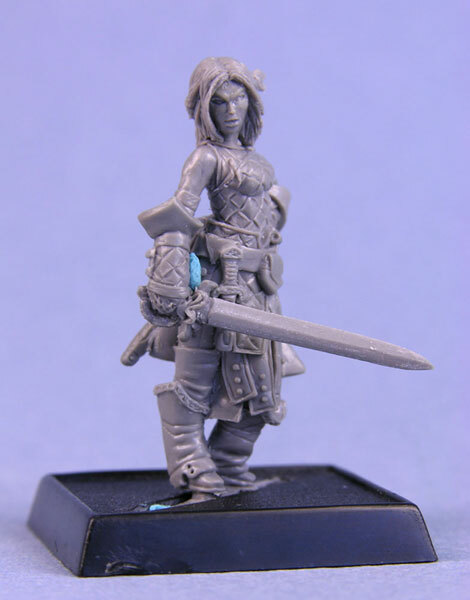 Her pose is reminiscent of the action from the box cover art and is a companion piece to the black dragon that will be coming out later this year. 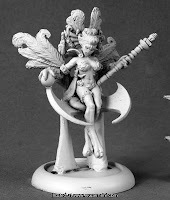 Both of the pieces were shown during GenCon at the Reaper booth. I have since cut the dragon apart and am in the process of keying the pieces for moldmaking. 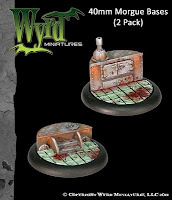 Reaper will also be releasing a generic resin treasure hoard base that would make a suitable display to recreate a diorama of the fantastic box art by Wayne Reynolds. 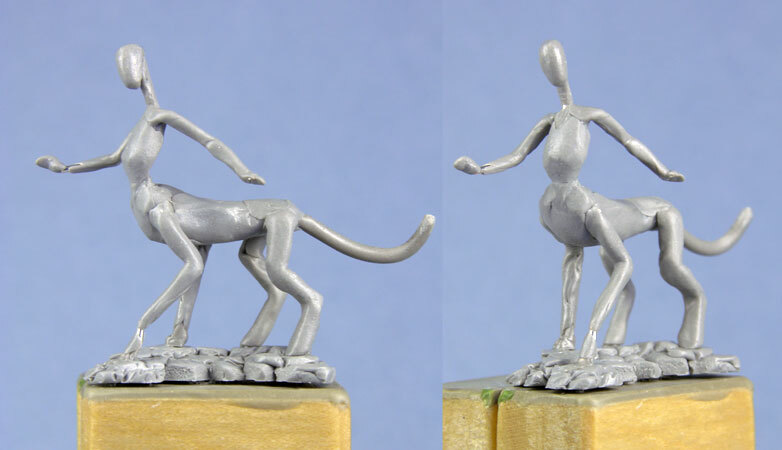 Someone leaked to the "press" that I sculpted a couple of new pieces for Impact! Miniatures again. 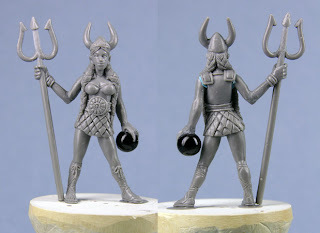 The first up is a Valkyrie-esque figure similar to what you may expect to see in a certain dream sequence of a movie involving a bowling dude. She has two sets of arms to make the figure a little more cusomizable. 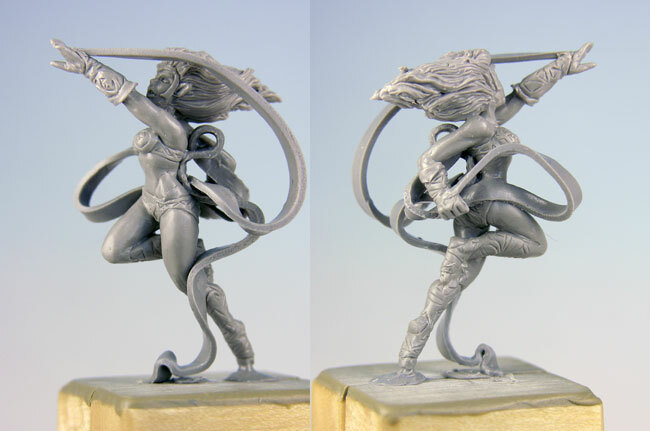 The other piece is a hobgoblin cheerleader set to bolster your greenskin team to victory. Or at least to make a lot of racket as they get their heads ripped off. Either way, they should be available soon from the online store at the link above. - back to the workbench . 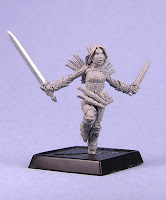 . .
Ameiko Kaijitsu has been posted in the previews section over at the Reaper site and on the Paizo site. 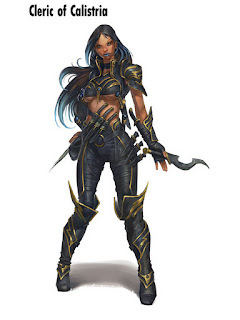 She appears in and on the cover of The Brinewall Legacy, a Pathfinder RPG adventure for 1st-level characters, by James Jacobs. 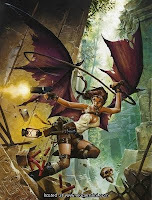 This volume of Pathfinder Adventure Path launches the Jade Regent Adventure Path. 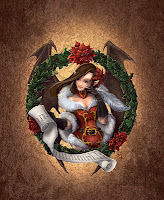 Although she appears on the cover, the art was flipped during the layout process. The art I received by Wayne Reynolds for the character design was facing the opposite direction. 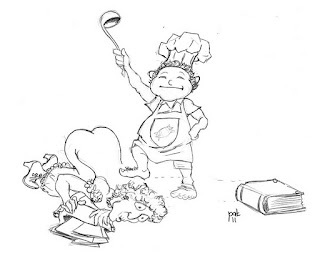 Such is the publishing biz. 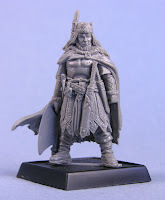 King Castruccio Irovetti has been posted in the Previews section over on the Reaper site. 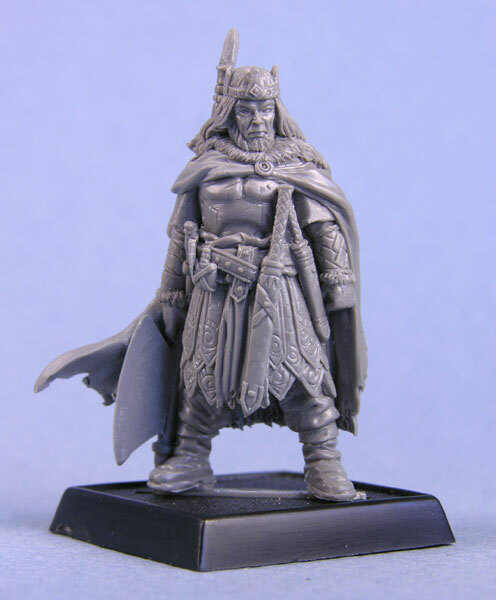 "King Irovetti, ruler of Pitax and potential rival to the leaders of the eastern Stolen Lands, opens his gates and hospitality to the lords of that realm. Within his city of shallow indulgences and crude decadence, he hosts a tournament ostensibly meant to foster friendship and peace, but fraught with dangers all its own." 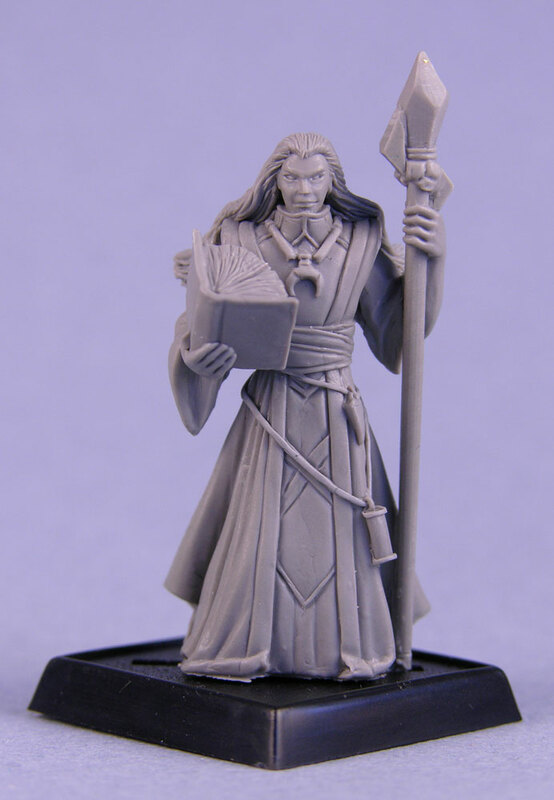 I recently completed this sculpt along with several other new Pathfinder characters, some of whom will be displayed at GenCon next weekend at the Reaper booth. If you are at the show, drop by and take a look. The band is here! 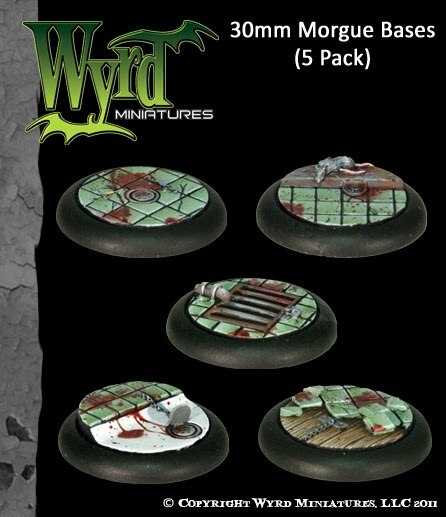 Now available individually or as a set from Impact! Miniatures. 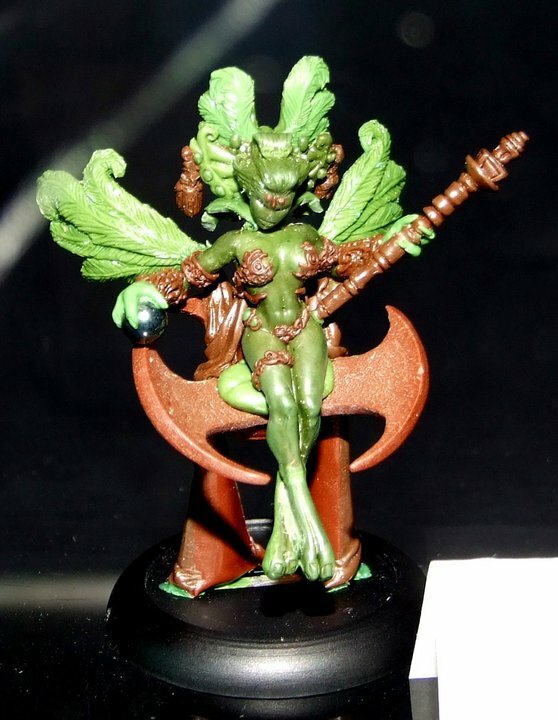 The sculpts are based on fantastic designs by Chuck Lukacs for the awesome characters from A Band of Orcs musical group. These pieces were a real treat to work on and very different from some of my other stuff. Great care was taken to capture the art and character in the likenesses and hopefully is a fitting tribute to the band and the artist. 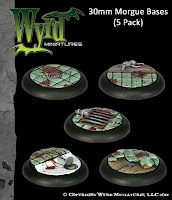 This set of releases also marks a bit of a change for us for these particular basing inserts as we've moved these bases over to resin, the full base and insert together so its ready right out of the package without glue and having to purchase additional round black bases. Let us know what you think! The new bases will be available in their online store starting next month. Throughout April and May I will be sculpting replicas of the members of A Band of Orcs. According to SMN News "World of Warcraft addicts A BAND OF ORCS play pummeling death metal. 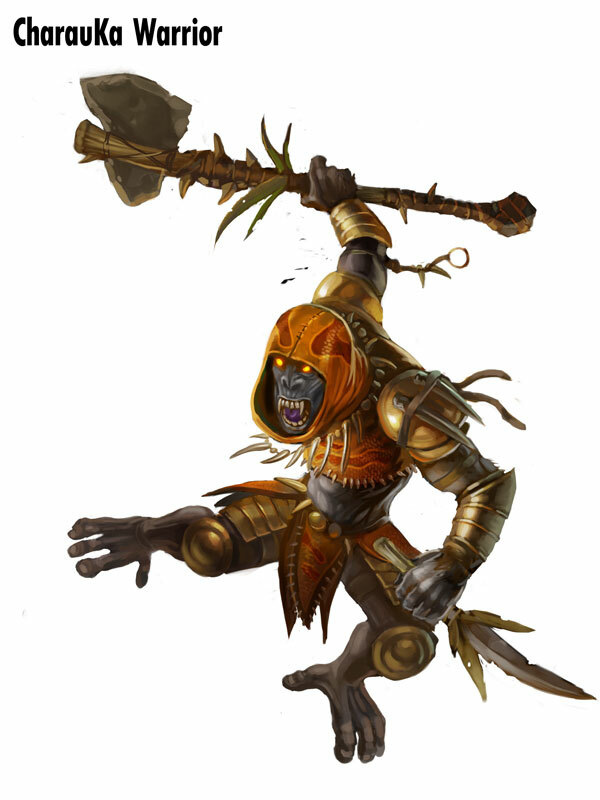 And yes, they are dressed as Orcs, most definitely influenced by Fantasy role-playing games. Music-wise, A BAND OF ORCS is somewhere in between MORBID ANGEL and SLAYER, with some Tuetonic thrash thrown in for good measure. Some might think the concept is a little nerdy, but one thing’s for certain, they are not just a GWAR knockoff. 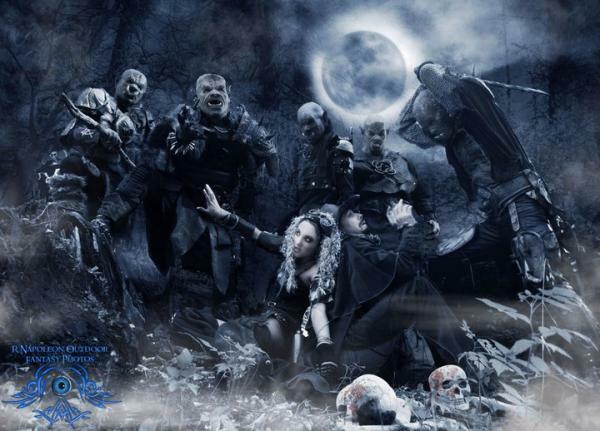 Their gimmick and costumes might overshadow their talent at first, but deep down, A BAND OF ORCS play brutal, chugging death metal with technical chops. On their 7-track debut EP, WarChiefs of the Apocalypse, these Orcs from Santa Cruz can play." 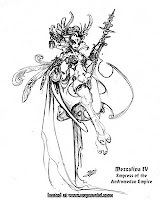 The band commissioned renowned fantasy artist Chuck Lukacs who has provided work for Wizards of the Coast, Paizo Publishing and the fantastic art book Fantasy Genesis, to design the characters of themselves as the Orcs. Chuck's work is superb and I am both thrilled and privileged to be invited to contribute to this exceptional project. The figures should be available through Impact! 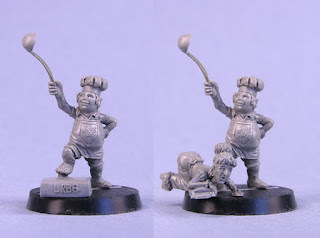 Miniatures when completed. I'll keep you posted here with more on the project as soon as I am able. Many of you may know about my project in long development which is a Sci-Fi setting for gaming. It has been conceptualized as a tabletop skirmish game, a campaign setting for RPGs, a comicbook/movie/tv series, etc. It is also the setting of my 2005 short film escape that features Skip Westmoreland, in one of his many iterations, as an agent of the Galactic Recovery Agency. 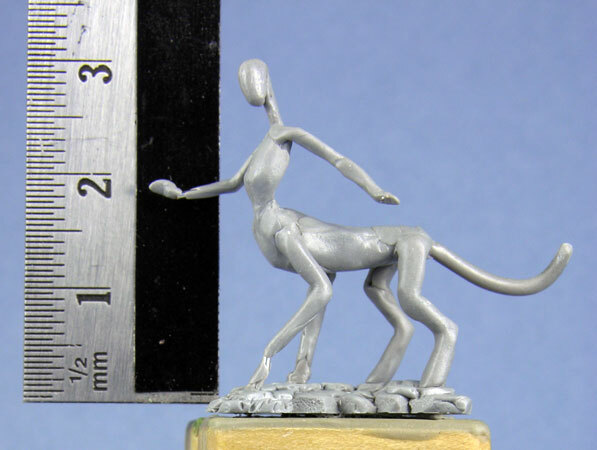 When I brought the concepts to Reaper prior to their Chronoscope line I had a range of aliens as yet unnamed. Once I returned to sculpting in 2009 I approached Ron with the possibility of producing a few of my alien characters for their new line. He was amiable to the idea and provided the moniker of Andromidans to my alien species. So at ReaperCon 2010 I asked Tim "Talin" Collier if he would be kind enough to design the Andromedan Empress for me. This design was later translated into the sculpt for the 2010 GenCon Painting Competition - Sculpted Greens category in which it won the fourth place ribbon. 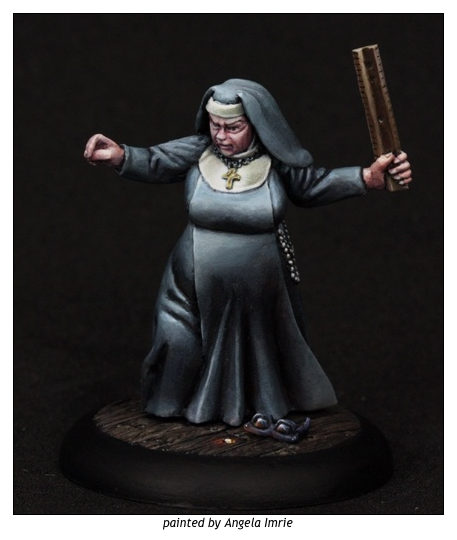 Now it is available exclusively through Reaper Miniatures and offered in their online store and other fine retail establishments. 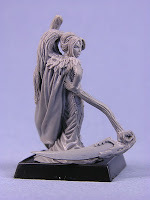 I will try to add photos of her once she's painted. Currently Meg Maples is working on the studio model. 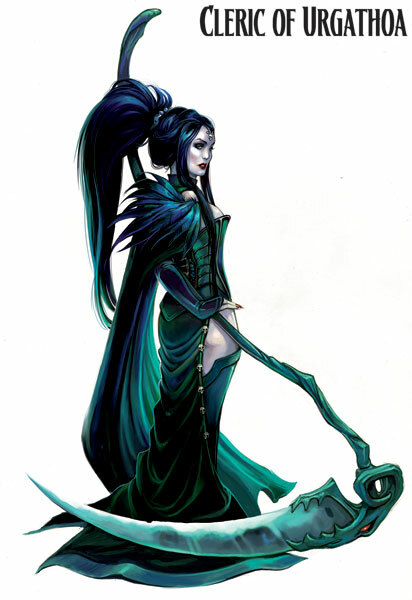 I am currently working with a couple of my gaming buddies to put an event together for GenCon this year. Darren West is designing the rules based on Star Wars Saga Edition RPG Starship combat rules. 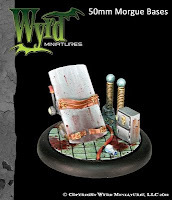 Brett Amundson is helping with rules, playtesting, table layout and model fabrication & painting. I am working on creating & painting models as well as setting up the Death star surface for the gaming table. The initial goal of running the Death Star Run scenario is to faithfully recreate the Battle of Yavin at the end of Star Wars: Episode IV A New Hope but also allow the players versatile control over their forces to achieve a victory with either side. 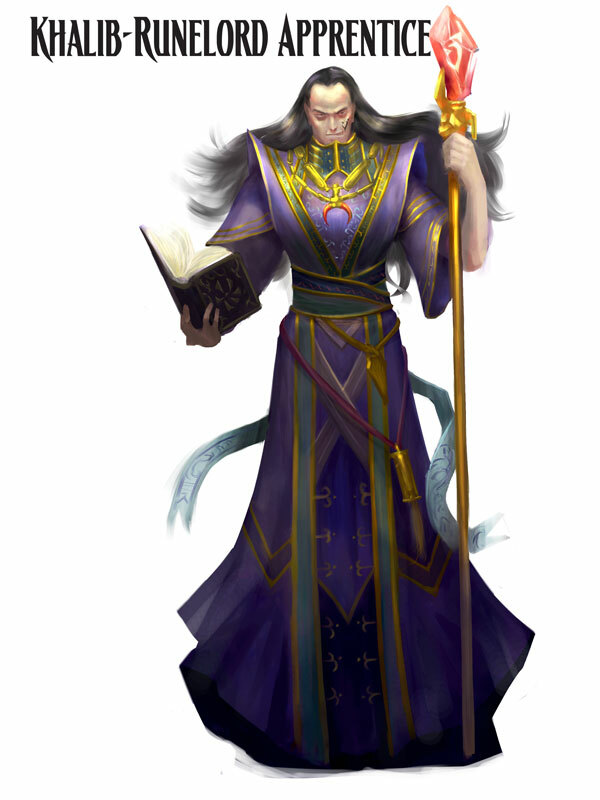 Check out all our progress at the event blog. Greebo Miniatures (formerly associated with Roll Jordan) has announced the release of the Silvania Elf Team for Bloodbowl and Elfball games that I sculpted for them in November. Impact! Miniatures will be carrying the line as the US distributor and they should be available from their online store within a week or so.